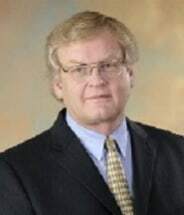 He brought his courtroom skills back to Atlanta, joined with Thomas Nickerson for 14 years in a civil trial law practice, Nickerson & Tuszynski, then joined Garland, Samuel & Loeb in 2000 when they expanded their civil practice. David's expertise is in complicated and challenging cases involving injury and death from medical malpractice, products liability and other catastrophic injuries. He has successfully handled cases including: medication errors, inept surgeries, surgical errors, birth traumas, obstetrical errors, injuries to infants and children; automobile defects, truck defects, defective consumer products, defective medical devices or prostheses such as knee or hip replacements; nursing home abuse from faulty care or negligence or errors; fire injuries, burns, or deaths; premises liability, injuries as a result from a condition or defect on a piece of property; gas leaks in apartments that led to fire injuries and even death; drowning in a swimming pool. Invasion of privacy, Internet invasion of privacy, online posting of unauthorized photos, or photos posted without the knowledge and/or against the permission of the subject; child injury and wrongful death, toy safety. David E. Tuszynski practicing in personal injury.